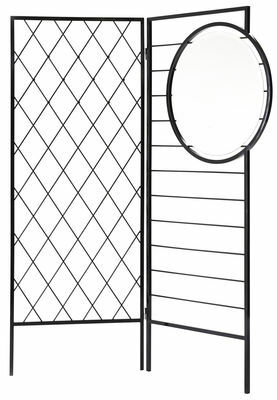 Characteristics: Coat hanger/room divider. 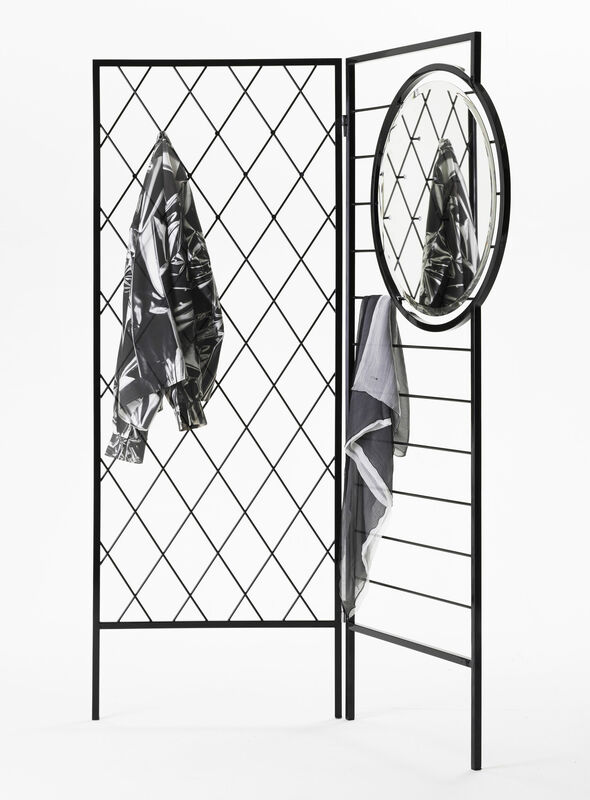 With its strict geometry this simple wardrobe helps put your things in order. 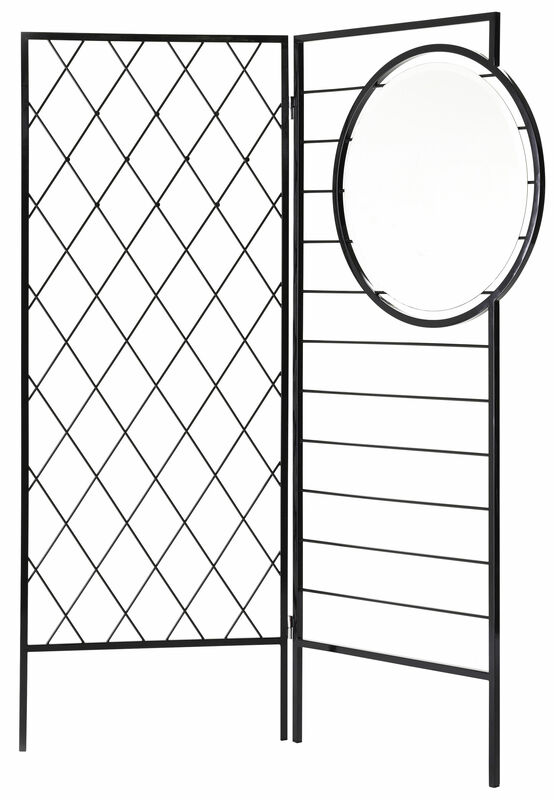 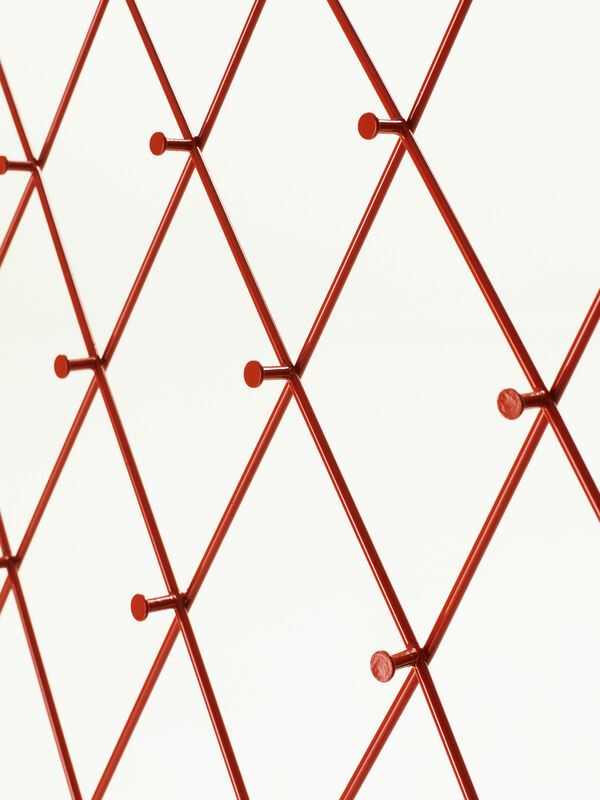 Its open grids act as an elegant room divider whilst inviting you to neatly hang and fold your clothes. 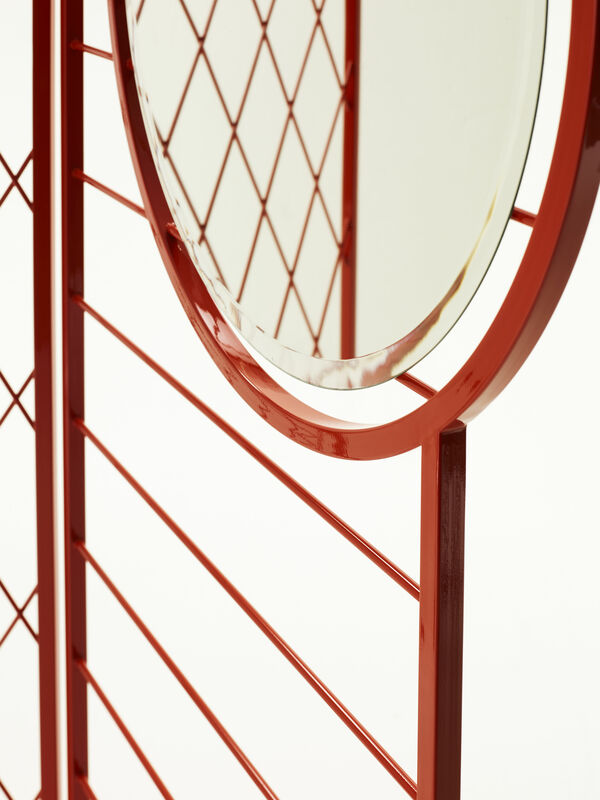 In the large circular mirror functionality and aesthetic combine giving Apparel its bold character.